Bring Her Back To Life! This extremely pretty Ohlson was completed at home, launched, sailed for a few years and has been stored ashore since 2013. Though comprehensively kitted out, this means that much of her equipment has not been used since then, so there will be plenty of servicing, checking and defect rectification to do. That aside, she is a beautiful looking boat, with a very nice and inviting interior, begging to be brought back to life and sailed again. 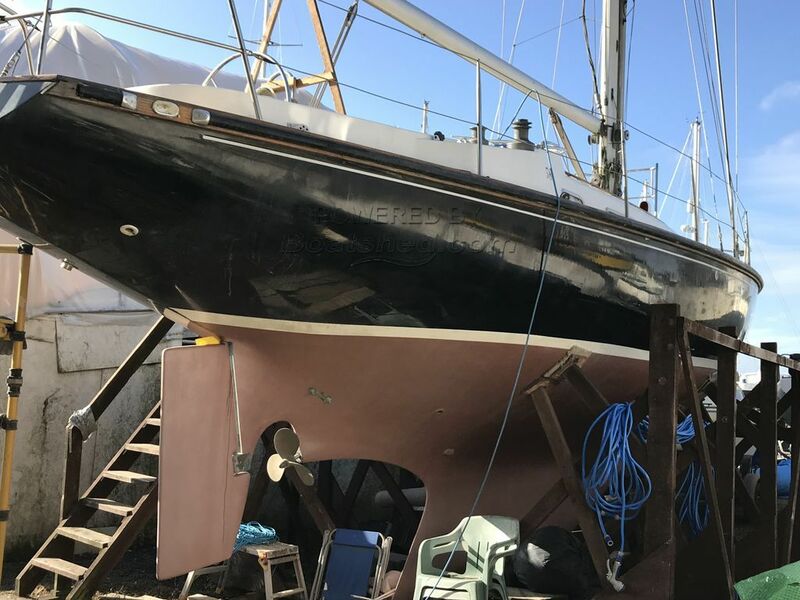 If you're after a boat with a great Ohlson hull build pedigree, with lots of equipment for very little money and are up to the challenge of rejuvenating her, she could be the one for you - we recommend a look in person. This Ohlson 38 has been personally photographed and viewed by Tim Kingston of Boatshed Brighton. Click here for contact details.